We predominately observe an object with our sense of sight. As such, we do not detect many aspects of the object that can only be observed via our sense of touch. If we observe an object using more than just our sense of sight, and include the sense of touch (haptics), we begin to gather a lot more data about the 3D form of the object and as a consequence begin to observe and understand it more completely. 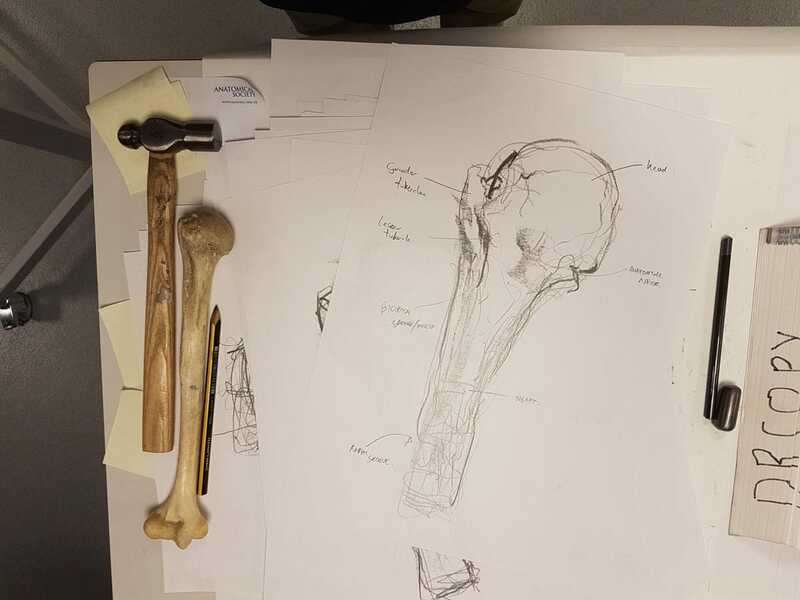 I have developed a novel method of observation (which includes the act of 'drawing' or mark-making) that I teach to people who have never drawn before, including medical students and health professionals. 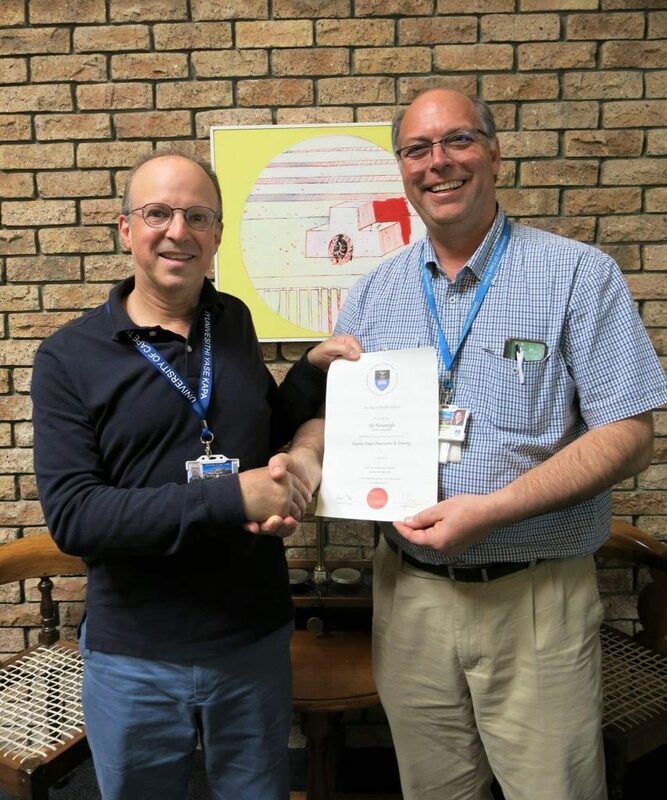 This one-day, CPD short-course is University of Cape Town (UCT) Certificated and accredited by the Health Professions Council of South Africa (HPCSA). I teach this method in a workshop environment that is focused, dynamic and fun. The outcome is real learning and growth and a sense of excitement and accomplishment. 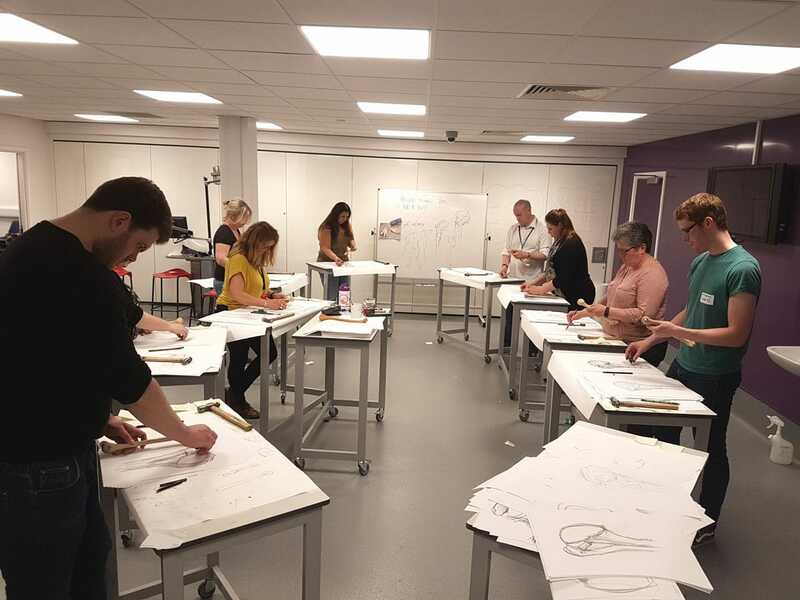 Course participants will be introduced to the value of observation using a multi-sensory method which crucially involves the sense of touch in addition to sight, coupled with the simultaneous act of gesture drawing. We gather a huge amount of information from an object when we explore it through touch (haptics), and this information becomes included in our drawing via the marks that we make. 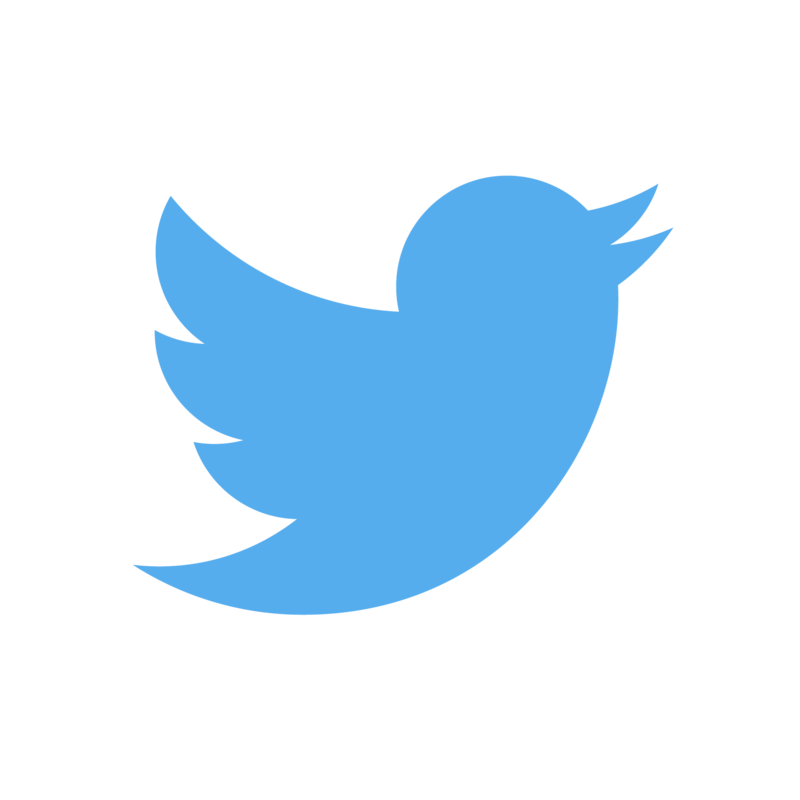 By observing in this way, one is introduced to a more comprehensive perceptual understanding of the physical object being observed. One literally begins to notice more of the object, as well as observing it in a more objective way (i.e. as it really is and not as one imagines it to be). 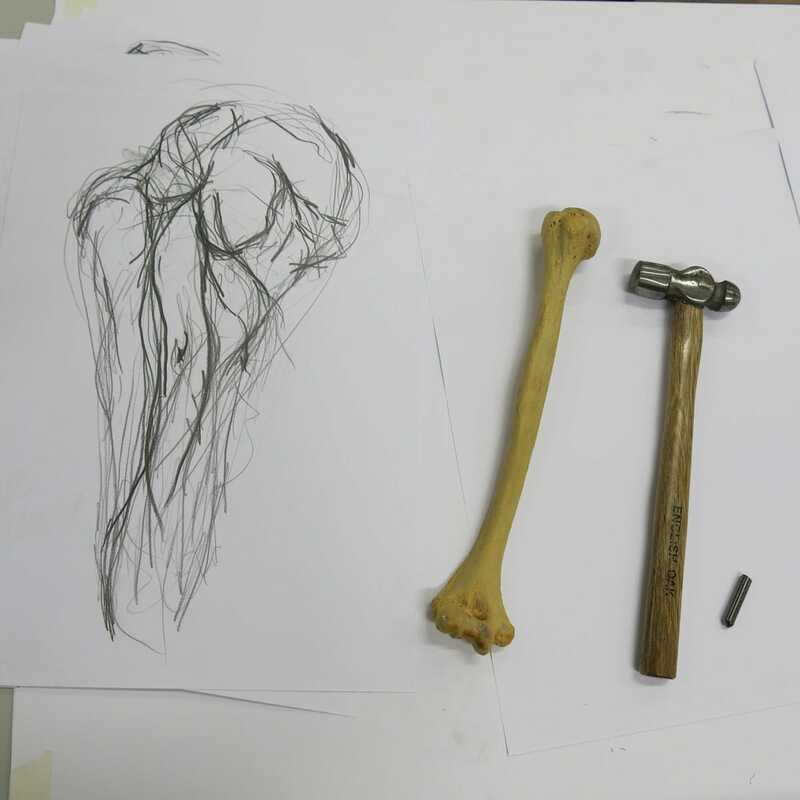 In this course, you will learn to observe an object and draw it on paper, such that your drawing marks correspond with what you are observing. Each participant will be guided through a series of exercises that will enable them to understand and practice this method. The result is that each participant will be able to observe better and draw capably using this approach. Many people think that they can’t draw and that only the ‘gifted’ or talented can draw. This is a fallacy. 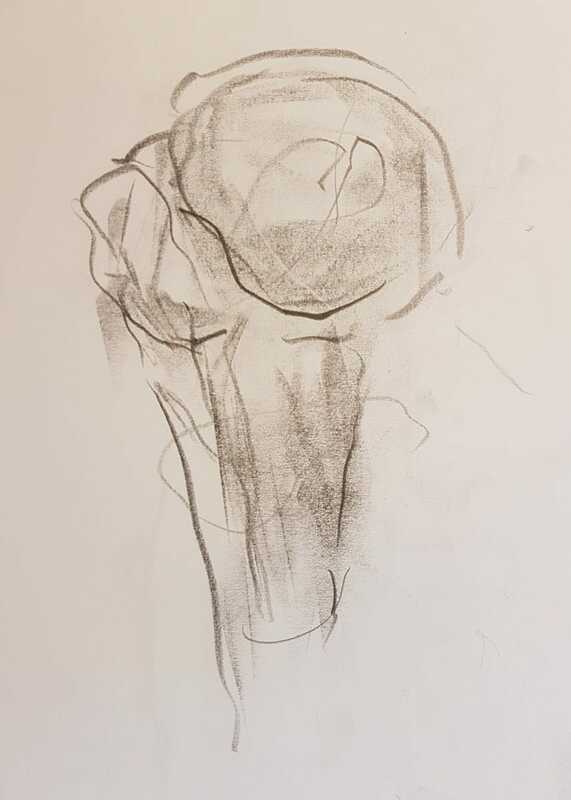 I run an observation and drawing workshop in which this belief is entirely upended and every individual’s potential and ability to draw is realized. Anyone can be guided towards their ability to observe and draw, and it continues to be my experience that every person that I have taught can draw, and draw well. 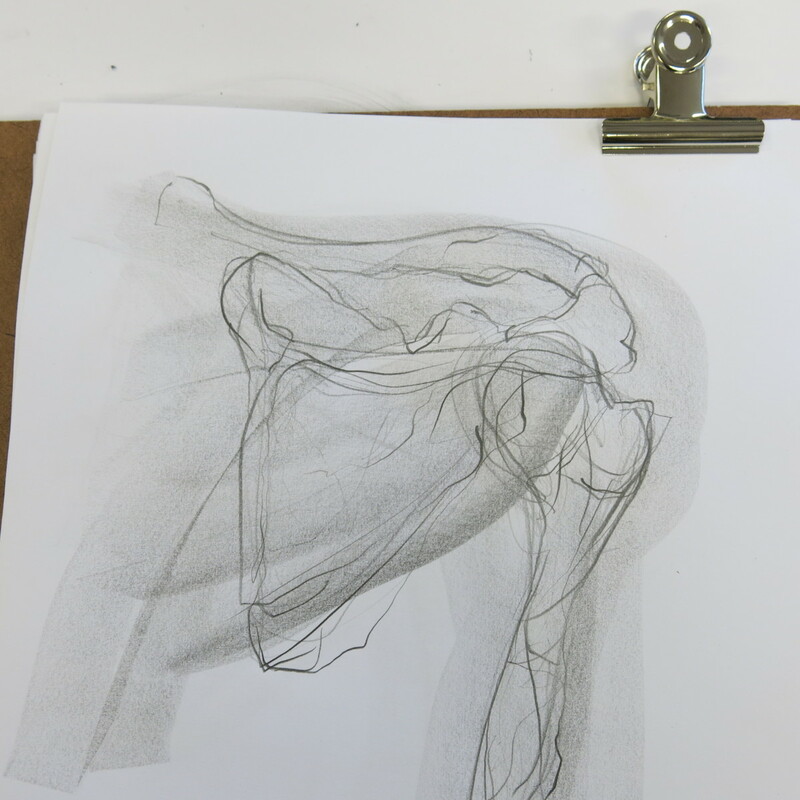 Drawing is fundamentally the making of marks on paper through upper-limb and hand gestures i.e. the moving of your arm and hand with a pencil (a drawing instrument) in it. NOTE: You need absolutely NO drawing experience to participate in this workshop. 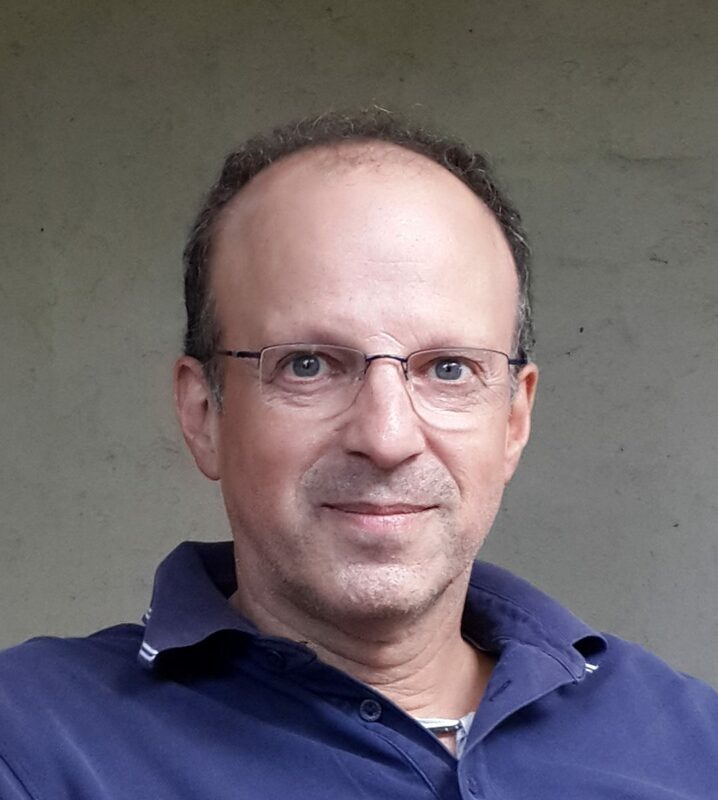 Leonard Shapiro is an experienced drawing teacher and skilled workshop facilitator who enjoys facilitating learning, growth and development in others, in the field of observation. He has developed a multi-sensory observation method, which employs the sense of touch (haptics) as well as sight, coupled with the simultaneous act of gesture drawing. It is called the Haptico-Visual Observation and Drawing (HVO&D) method. 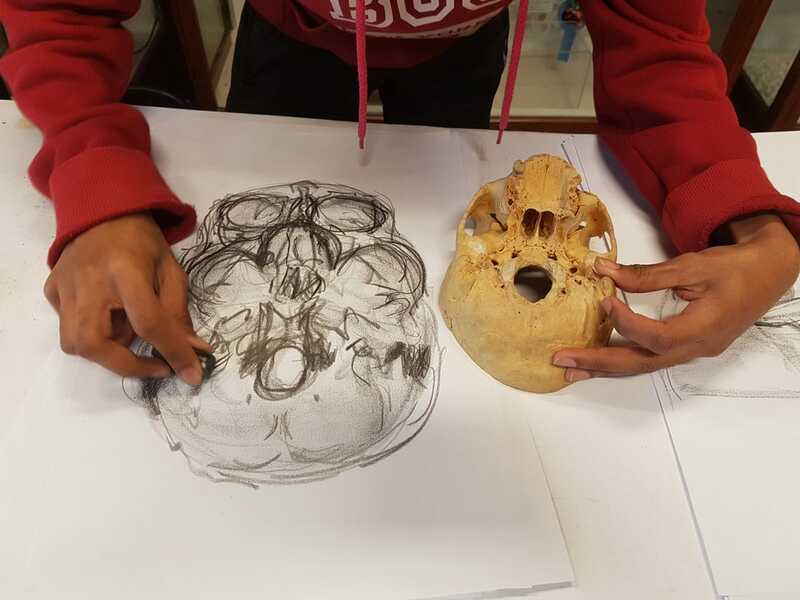 The application of the HVO&D method results in a greatly enhanced level of observation of the form and detail of a 3-dimensional object (such as an anatomical part), as well as the cognitive memorization of it as a 'mental picture'. The application of this method also results in improved spatial orientation within the volume of an anatomical part. 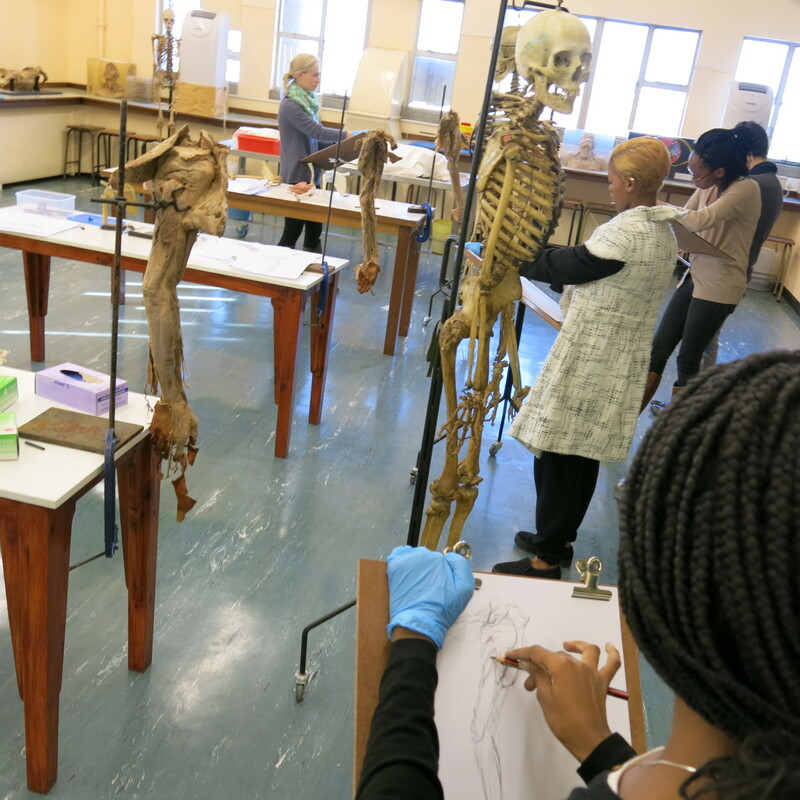 Leonard teaches the HVO&D method at a university level to MBChB students as part of their study of anatomy, to health professionals as a University of Cape Town (UCT) certificated CPD short-course, to anatomists and to fine art students as part of their drawing program. Leonard holds a Bachelor of Fine Art (BAFA Honours) degree from the University of Cape Town (UCT) Michaelis School of Fine Art. He also holds a Bachelor of Social Science (BsocSc) degree from UCT. 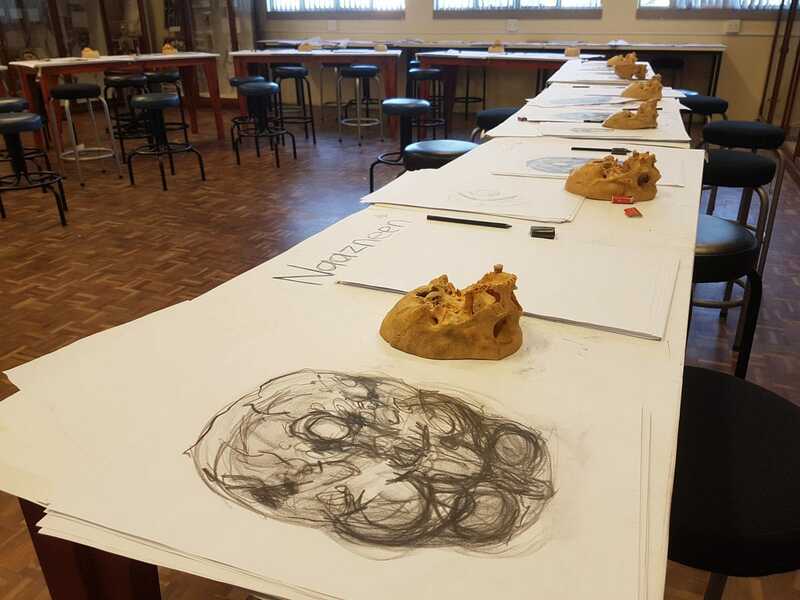 Observation studies of the base of the skull by UCT MBChB students during a HVO&D workshop. 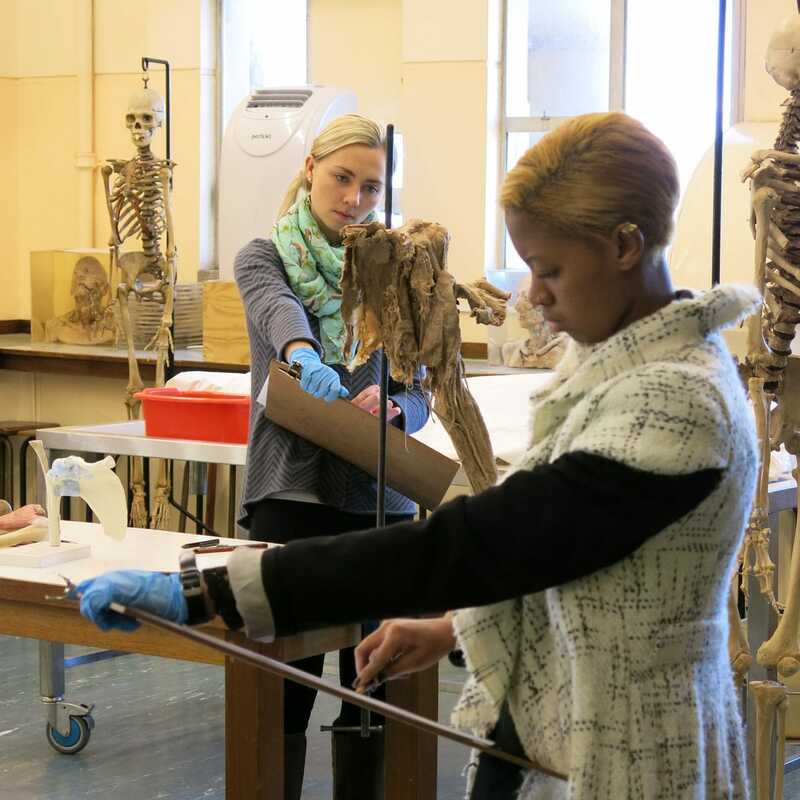 UCT MBChB students observing the 3D form of a hammer and humerus using the HVO&D method. 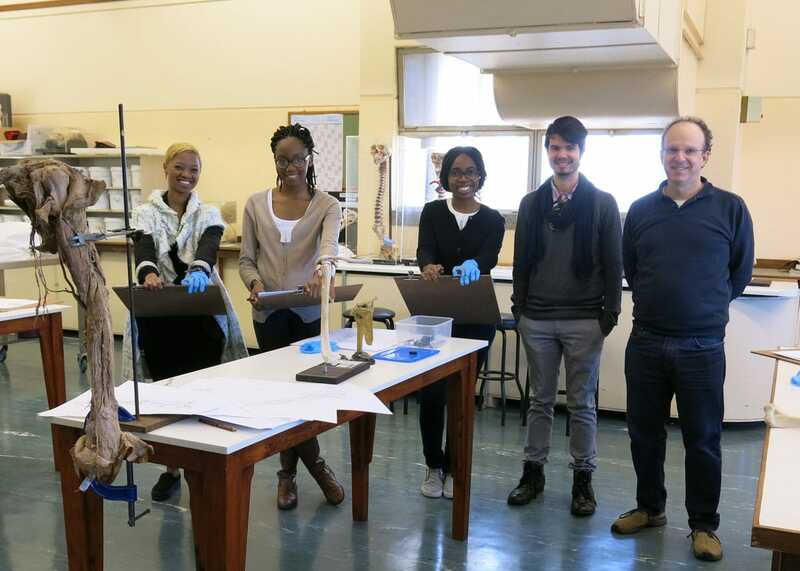 Following on from hammer and humerus studies, UCT MBChB students using the HVO&D method to study upper limb prosections, during a HVO&D workshop. 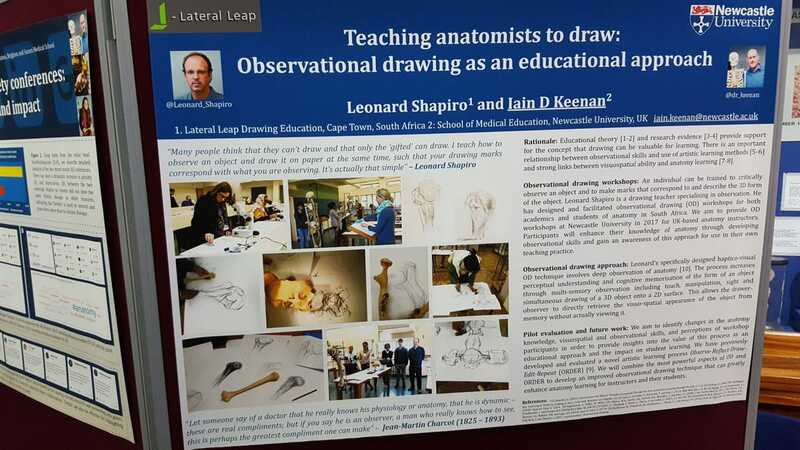 Poster on observational drawing as an educational approach and combining the best of the ORDER (Observe, Reflect, Draw, Edit, Repeat) and HVO&D observation methods. Anatomy Society Winter Meeting 2016, King's College, London. 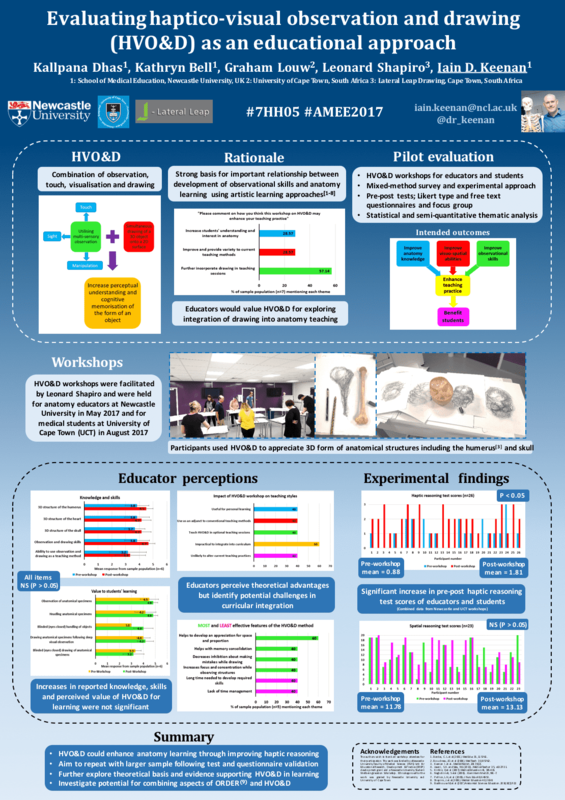 Poster presentation on evaluation of data generated by HVO&D workshops at the School of Medical Education, Newcastle University and the Division of Clinical Anatomy and Biological Anthropology, University of Cape Town. Association for Medical Education in Europe (AMEE) Conference, 2017, Helsinki. Poster by Kallpana Dhas. (Click on image to open as a pdf). Keenan ID, Shapiro, L. 2017. 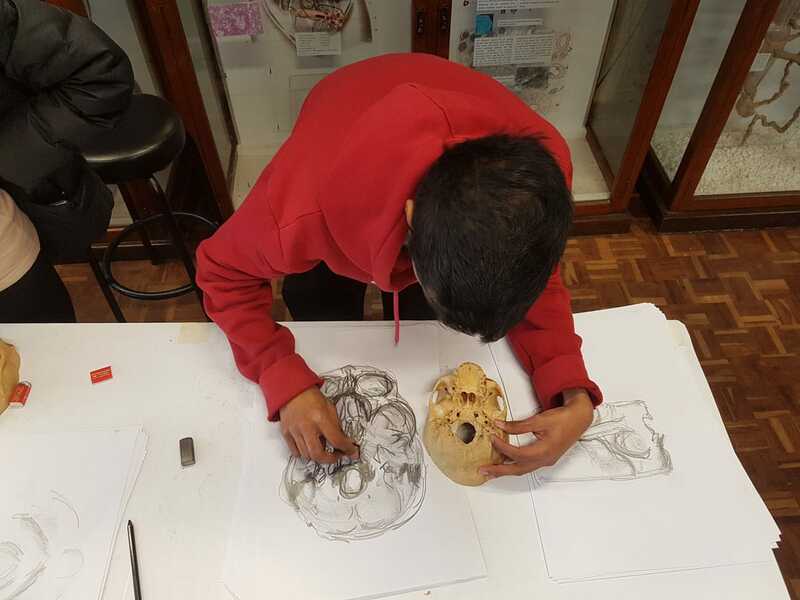 "Teaching anatomists to draw: observational drawing as an educational approach." 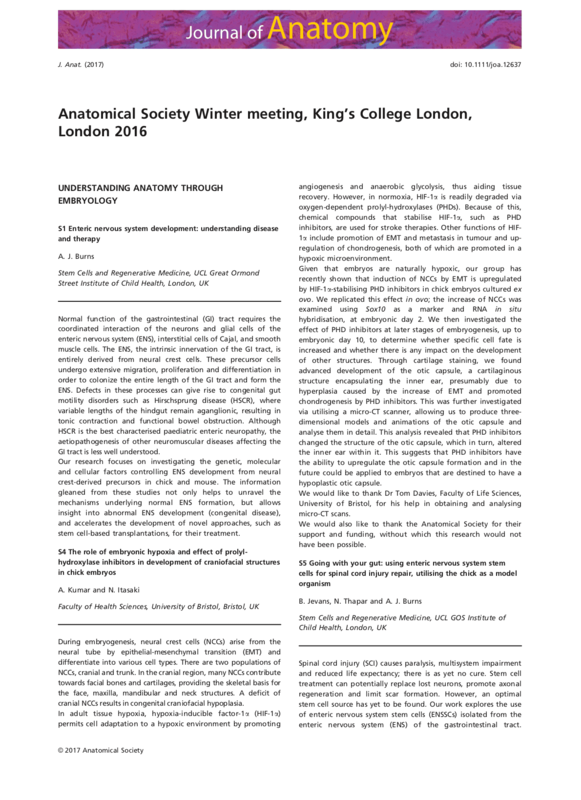 In Anatomical Society Winter meeting, King's College London, London 2016, 445-68. Journal of Anatomy. (Click on image to open as a pdf). 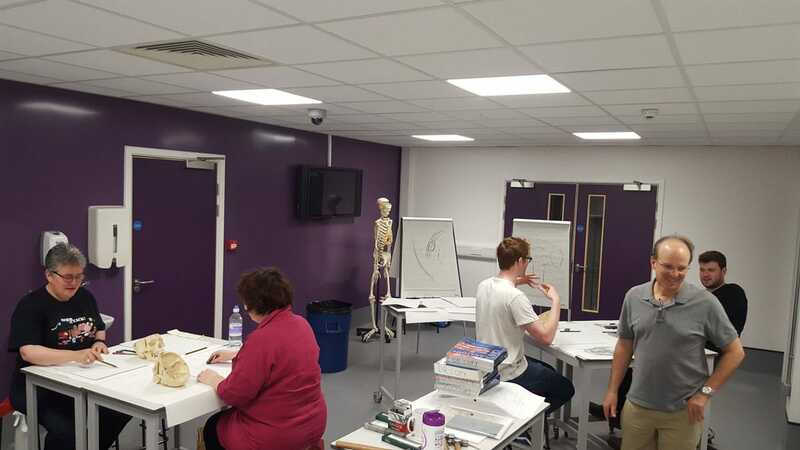 A 3-day HVO&D workshop attended by anatomists from various parts of the United Kingdom, held at Newcastle University School of Medical Education. 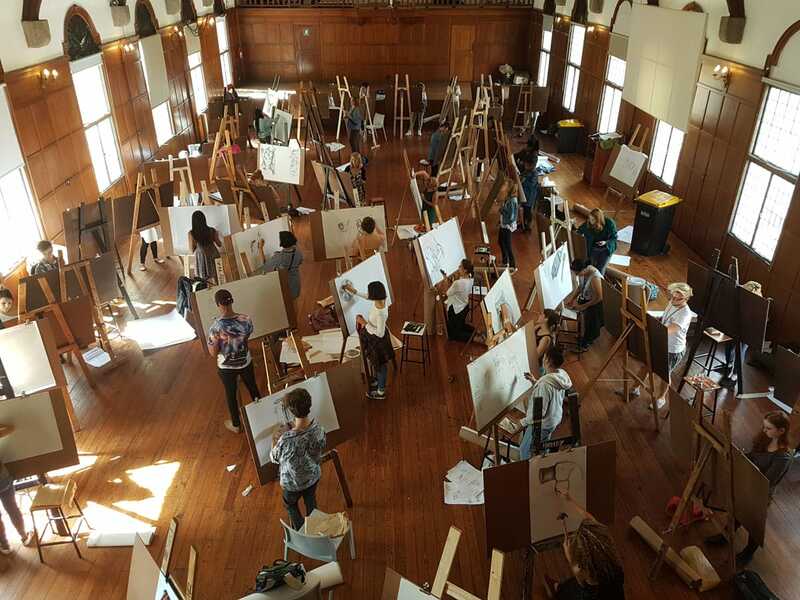 BA Fine Art students attending a 10 day drawing workshop and learning the HVO&D method, UCT Michaelis School of Fine Art. 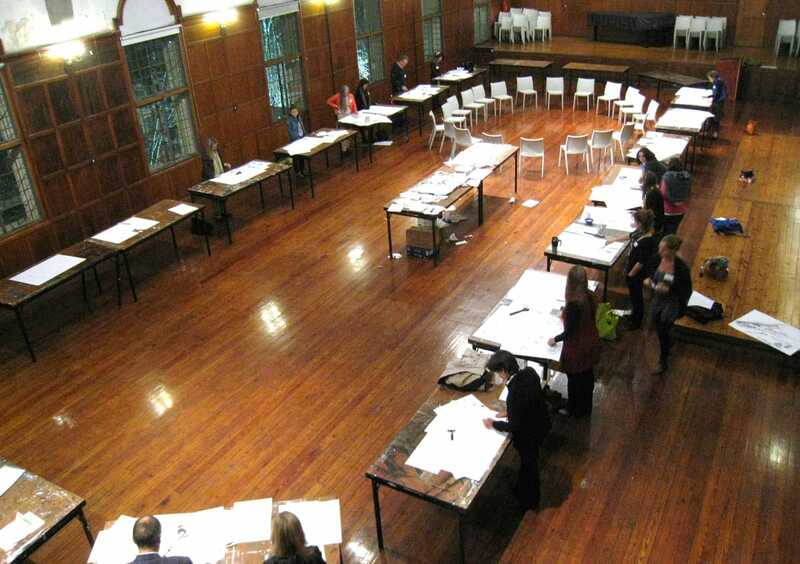 Drawing workshop at the Institute for Creative Arts (ICA), University of Cape Town. In order to make this observation and drawing experience available to everyone beyond the university environs, I have designed a One Day Corporate Drawing Workshop. 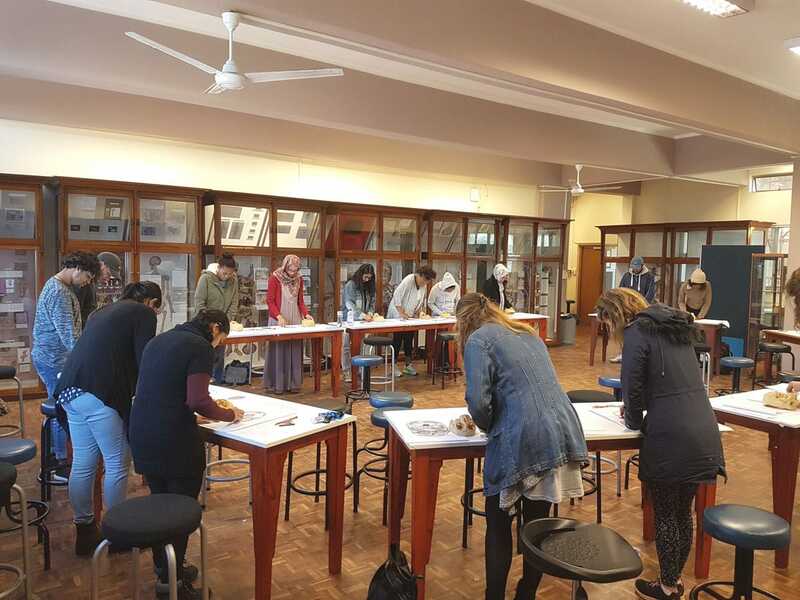 This workshop encapsulates the fundamentals of what I teach, and delivers the same dynamic, educational and fun experience to groups of people who are interested in discovering their innate ability to observe and draw. The proof of this is in the drawings, which the participants take away with them. 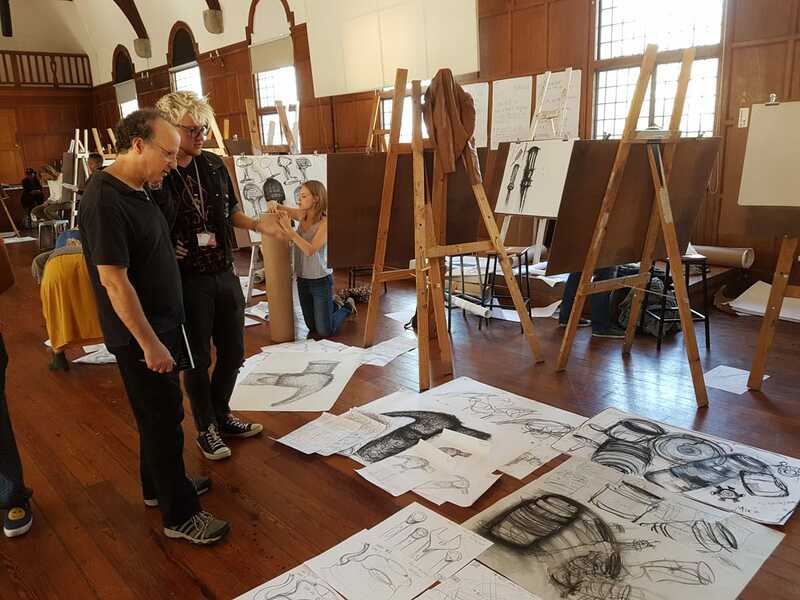 An additional function of this one day drawing workshop is for each participant to experience what it is like to do something that they never imagined they could do. This experience of surprise is unforgettable. It is very enabling…it enables one to go forward and continue to surprise oneself at one’s ability to discover new ways of accomplishing tasks in the workplace and in everyday life. This workshop is fully catered with lunch and afternoon tea. One Day Corporate Drawing Workshop. Maximum number of participants, 14. Catering: Lunch and refreshment breaks are fully catered for by 6 Spin Street Restaurant, at either workshop venue. 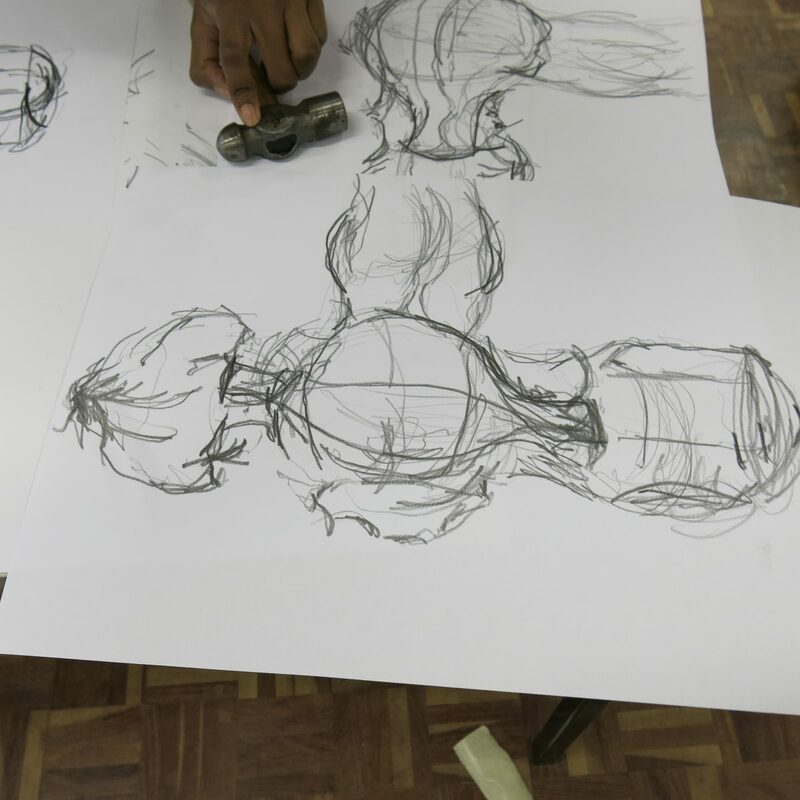 There are two key functions of the Corporate Drawing Workshop. The first is for each participant to experience what it is like to do something that they never imagined they could do and achieve results that they initially thought were completely beyond their ability to achieve. This experience of surprise is unforgettable. It is very enabling...it enables one to go forward and continue to surprise oneself at one’s ability to discover new ways of accomplishing everyday as well as new tasks in the workplace and in everyday life. The means by which I facilitate this process of surprise in the workshop participants is through enabling them to observe and draw an object. So many people imagine that only artists have the ability to draw and that the ability to draw is something that only the 'gifted' are born with. This is completely untrue. I have conducted this workshop many times and each participant has discovered that they can draw in a way that they never imagined and this comes as a great surprise to them. The second function of this workshop is that the participants experience a renewed confidence and this confidence has obvious benefits on thinking and directed productivity in the workplace. 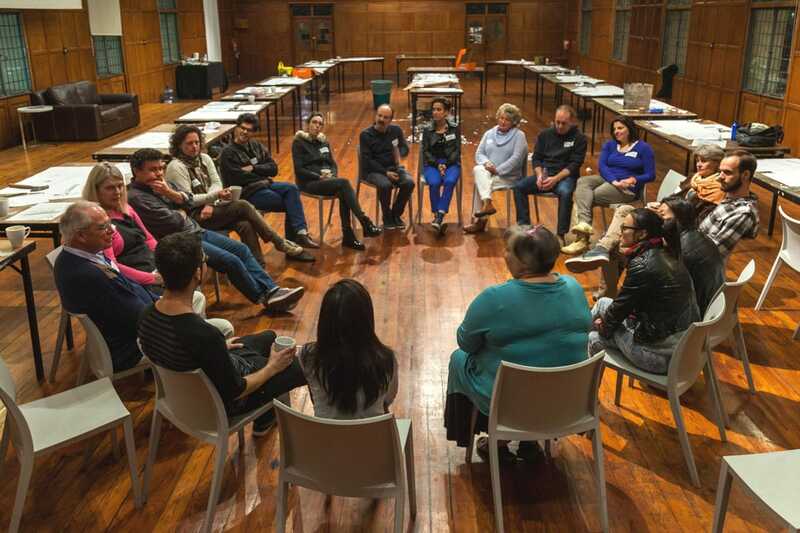 This workshop will expand on each participant's ability to think and act creatively in all aspects of their daily life; at work, at home and at play. The workshop takes place over one full day (9am – 4.30pm). All of the materials that will be used by the participants are provided and morning tea and lunch are catered for. Catering in Cape Town is by 6 Spin Street Restaurant.